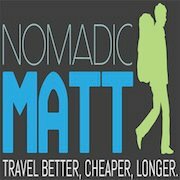 Nomadic Matt’s Travel Site is giving away more than USD 6,500 in train discounts so you can travel by train cheaper. Simply enter your name and you’re in! Nomadic Matt’s Travel Site will draw the winning names this weekend.